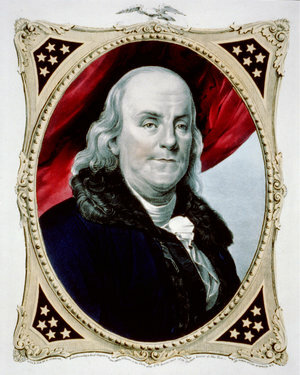 Home › Blog › 2016 Presidential Election › Is Benjamin Franklin’s Great Experiment About to Fail? When I first heard this story, I found Franklin’s response a curious one to make. Now I understand what he meant. For it takes so much effort, such selfless behavior, and enormous monetary sacrifice by a country’s citizenry to keep a republic free and operational, and a Constitution intact and fully functioning, serving all its citizenry, rather than just the rich and powerful. Today, we can see clearly that it has not been dutifully done. I was shocked and dismayed to learn my idealistic view that our Constitution was written for the good of all Americans in mind was not quite accurate. After doing a little digging and reading a lot of more complete histories than I got in school, it became clear that it was written to favor the upper class, male landowners, who were the only people eligible to vote when the Constitution was ratified in September 19, 1789, and the Electoral College came into being, ensuring the lesser populated but richer slave states got electoral power from the enslaved Black population, though they were prohibited from voting well into the 1960s. Still, didn’t Abraham Lincoln imply that the Constitution was written for all Americans when, in the last line of his Gettysburg address, he exhorted his contemporaries to maintain the legacy? A majority of the framers were lawyers with the most holding great wealth in terms of land, and quite often slaves. Many had manufacturing and shipping interests, over half were creditors, and 40 of the 55 held government bonds. As you can see, the framers had a direct economic interest in establishing a strong central government at the expense of the needs of the majority of the people. Manufacturers needed a strong government to establish protective tariffs and to subsidize industrialization. Moneylenders wanted to stop the liberal printing of paper money to pay off debts. Land speculators needed a military force to protect them as they grabbed Indian land on the frontier. Slave-holders sought federal security against revolts and runaways, and bondholders needed a strong central government able to raise monies via taxation to ensure that their bonds from the war of independence would be honored. Our Constitution was written to maintain and extend the privileges of the upper class, to protect their property (wealth) interests, and this thinking of class, privilege and economic interest is a very foundation of our current problems. As you might understand, the view that the blueprint for democracy primarily supported the wealthy and privileged and not the common people was a real eye opener for me. Long ago, I believed part of the American Way of governing was to help those in need. My awareness that this was not true started with Vietnam, and going forward, year after year, I came to believe the structure of our government was not at all concerned with providing hope and a sense of security for our future, the commitment to things being better for each generation, rather than that any individual politician is allowed to debase and corrupt the electorate. Which seems to be case. I have now learned that many of the 55 wealthy framers of the Constitution didn’t have the best interest of We the People in mind at all when they signed the Constitution. No wonder Franklin wondered if we could save our Republic from destruction. 3 Responses to Is Benjamin Franklin’s Great Experiment About to Fail? I am stunned by your recent discovery. You must be crushed and very angry. Upon further reflection, I don’t think it was fair that I gave you such a short reply. What surprised me was the Founding Fathers, as mentioned above, believed the Constitution was written for “We, the People,” which, according to Abraham Lincoln, was for, of, by and for the people, Not, solely for the rich and powerful, which has turned out to be the case, and of which Kathryn, my contributing editor, and I have spoken extensively in our book, “Political Straight Talk: A Prescription for Healing Our Broken System of Government.